If you’re not alert, it’s easier than ever to be snookered these days. You are trying to reduce your environmental impact and so you specify your new brochure should be on certified “green” paper. Environmental certifications on paper products are helpful because they can reassure us that we’re making sound purchasing decisions. But not all certifications are equal. In an earlier post, I wrote about the rigorous process used by the Forest Stewardship Council for FSC-certified paper. In contrast, an environmental self-certification without third-party confirmation or validity is often a manufacturer’s greenwashing ploy. A troubling example is the Sustainable Forest Initiative certification (SFI), which is used by many of the larger paper and forest products manufacturers. 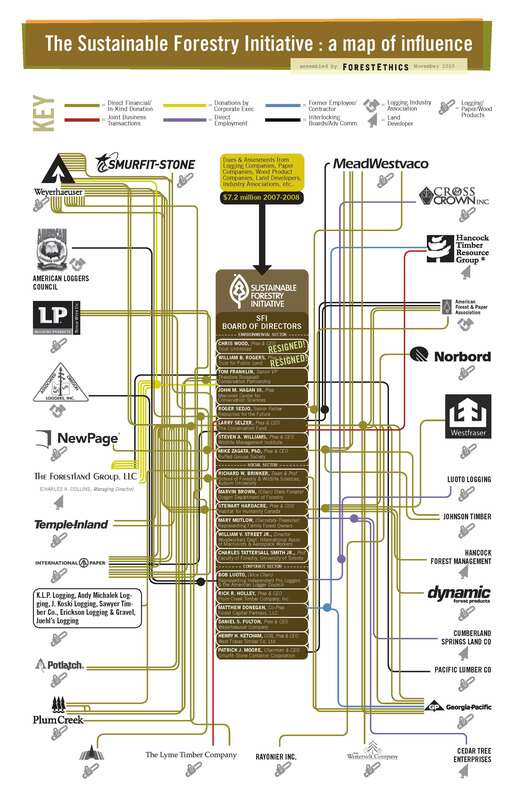 A report by Forest Ethics has uncovered the Sustainable Forestry Initiative’s industry-sponsored greenwashing. 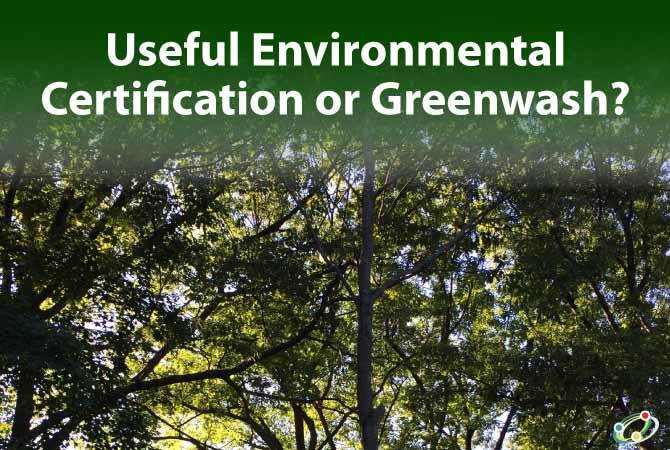 Entitled SFI: Certified Greenwash, the report highlights how the SFI serves the interests of the timber, paper, and forest products industries. Its centerpiece is a two-page infographic depicting the web of influence through which industry dominates the SFI certification. Claims of “sustainable forestry”, “mixed sources” or “responsible sources” need to be examined critically. No matter what else is advertised and promoted, the most reliable green indicator is the amount of Post-Consumer Waste (PCW) in a paper product. This is not only because recycling takes pressure off of the world’s forests but because it also helps keep methane-producing paper out of landfills and requires less energy, water and chemicals during the manufacturing process. Beware of green labels or unsubstantiated claims. In 2015 the FTC found 32 marketers and five certifiers using seals with vague or incomplete wording, and sent letters warning them to review their ads. Recent changes by China around the import of used (recycled) paper for recycling has left a glut of used paper on the market in the US. While that seems like it would be good for the paper industry, most paper mills in the US are not equipped to recycle post-consumer waste. It is unknown if this will increase available recycled paper in the US or decrease the recycled pulp supply. Either way, US paper has increased in price due to higher demand from the lack of supply in China. Specifying recycled and certified paper needs to be followed up by verification. I recommend working with a reputable printer that you trust to help you meet your environmental goals. This is an updated blog post from March 21, 2011.